There are many causes of hair loss for women that include medications, medical conditions, physical or even emotional stress and genetics. If you are noticing unusual hair loss, it’s important to consult with your primary care physician, a dermatologist or seek help with a hair loss specialist to determine the cause of your hair loss. A dermatologist can examine your scalp and let you know if you suffer from female pattern hair loss or if there is another cause of your thinning hair. How to Know if You Have Female Pattern Hair Loss? Clinicians and hair replacement specialist use the Ludwig Classification to describe the severity of female pattern hair loss. TYPE I: This hair loss phase shows minimal thinning that can be easily camouflaged with hair styling techniques. 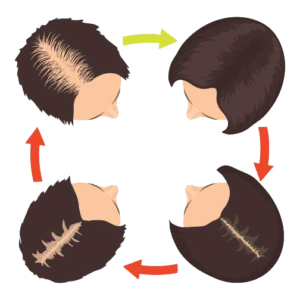 TYPE II: This hair loss phase is characterized by decreased volume and noticeable widening of the mid-line part. TYPE III: This hair loss phase shows the diffuse thinning, with a see-through appearance on the top of the scalp. There are several medications that are common for treating female pattern hair loss. Minoxidil is one of the most used treatment options for female pattern hair loss to help keep it from worsening. There are wigs that are nothing like the wigs you may remember your grandmother wearing. Today they are undeniably superior and they give you natural looking hair that moves like real hair because our wigs are made from 100% human hair. They are light and comfortable to wear all day and night. Then there are non-surgical hair replacements that use non-surgical methods to reverse the appearance of baldness and thinning hair. There are different hair replacement treatments to choose from. Hair replacement systems like Virtuesse and Reallusions are innovative non-surgical hair replacement procedures, which reverses the signs of thinning hair and baldness. They can give you back a full head of beautiful natural looking hair in just your first session. This innovative hair restoration manages to transform and address everything from thinning hair and the appearance of chemical damage. These are just a few of the hair replacement options available for women. 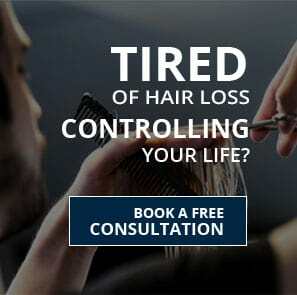 Schedule your free confidential hair loss evaluation with one of our hair loss specialist and see which hair loss solutions would be right for you and end your worries about your hair loss. 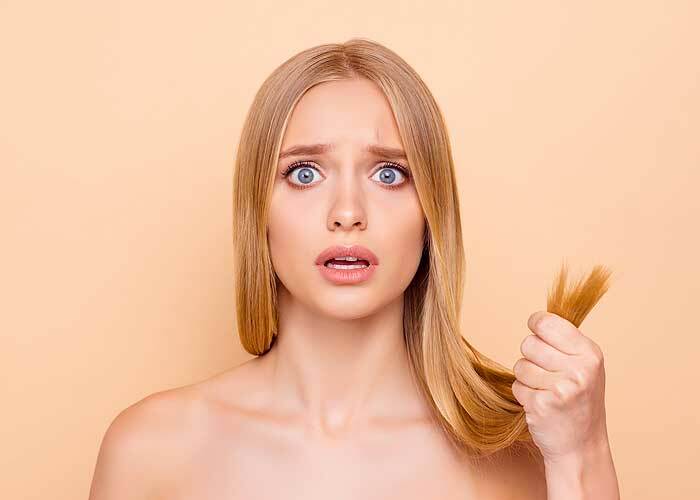 By ihrs|2019-02-11T15:43:00-04:00February 11th, 2019|Uncategorized|Comments Off on What Causes Female Pattern Hair Loss?